safest, quick, and permanent technique for hair removal now. 1. 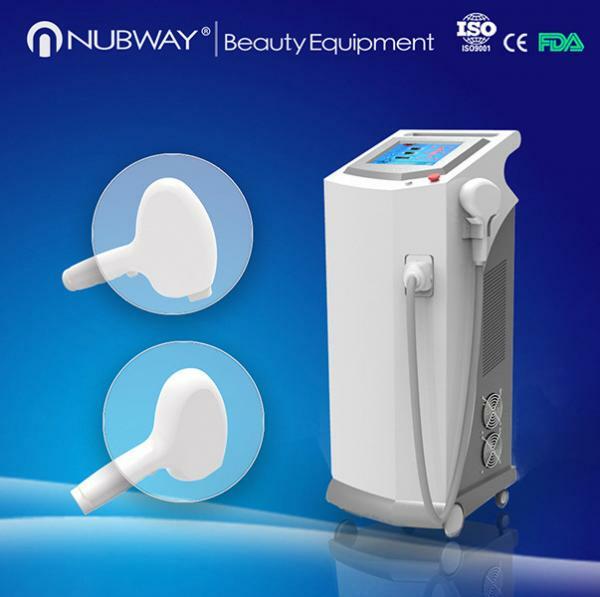 Hair removal for all skin types, cause the wavelength is near infrare, so it won't cause skin damage for dark skin type, and with long pulse width, even the darker skin can get good treating result. 10 Germany “Dilas”laser bar inside,60w for each total power can reach 600W. 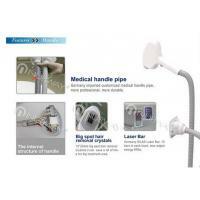 High quality Medical pi pe for water circulation,soft with good flexibility,durable. 2 big Copper Radiator ,better heat conduction than the Aluminum ;4 big DC fan 12V, big wind , the heat can be soon disappeared ,also low power , low noise. Our main power supply is special custom-made , which is totally fit for this machine , not the general power. The output current is constant current , which will avoid the damage to the bar as the electric current is too strong. But many manufacturer just use the ordinary magnetic drive pump , it will usually led the strong current directly to damage the bar. 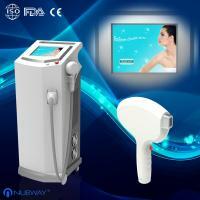 Beijing Nubway S & T Co., Ltd has always been recoginzed as a professional medical aesthetic beauty equipments supplier. Founded in 2003, we are integrating production and sale in one. We have our own research and development department as well as our own manufacture, where is our OEM and ODM service based. In the past decade, We has grown into the leading manufacturer of cosmetic machinery designed to meet the needs of people seeking solutions for beauty and youth. Our main products are Cryolipolysis fat freeze body sliming machine, Cavitation body slimming machine, lipo laser slimming machine and other body slimming system; Ultra pulse Fractional/Fraxel CO2 Laser,Nd-yag laser system,RF system, IPL system, Diode laser, and so on. "Customers First" is our motto. We focus on every detailed accessaries to promise our machine's working performance and quality. From producing, installing, inspecting, packing to delivering, we arrange based on strictly rules, besides we have exlusive delivery department, so the shipping cost is definitely competitive in the market. As is known to everyone, after-sale service is the most important to all industries. We believe our professtional after sales team will not disappoint you. They are very qualified and professtional. Your questions and problems will be answered professtionally. Our company has been trying our best to build a very professional and high-caliber after-sale service team which can resolve all problems for you in the future. There are many dermatologists and technician who can speak English, so if there is any problem about the machines and how to use the machines correctly, we can resolve these problems very easily by E-mial,telephgone or Video. In one word, we are willing to consider everything for our customers. On the basis of our comprehensive strive; our company has many customers who are using our machine all over the world. We have been always getting good feedback from our customers all over the world. Why not eep your choice.